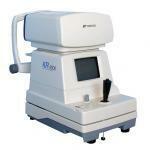 Topcon NW400 Non-Mydriatic Retinal Camera - Vision Equipment Inc. 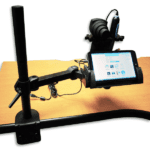 The large 10” color touch-screen monitor allows for total control of the functions as well as displays the acquired images. 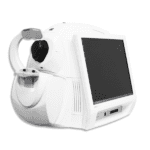 A high resolution color sensor provides quality images with a 45° field of view. 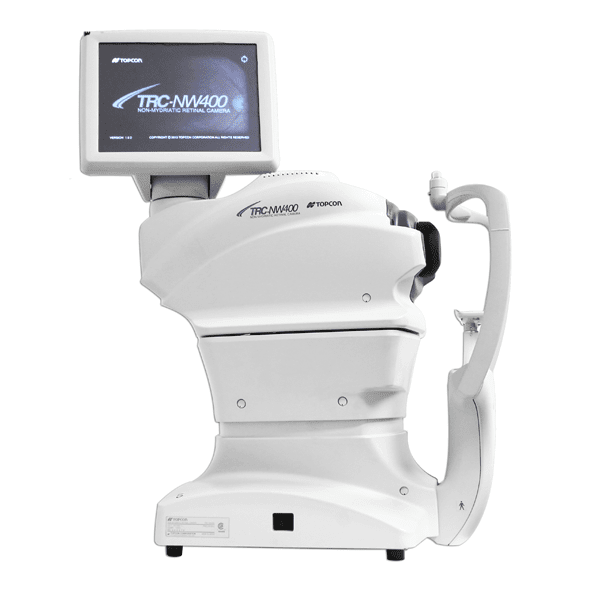 The TRC-NW400 has 9 internal fixation targets that facilitate the composition of wide angle views of the retina. The TRC-NW400 can be used as a stand-alone unit saving images to a USB drive, as well as sending the images to be saved to a remote server or EMR system. It is DICOM compliant and can be used without a computer, retrieving the modality work list with patient information directly from the EMR server. With the use of the optional IMAGEnet® 5* software, the TRC-NW400 can save and store the images to a local computer making them available for review. * Sold separately or as a part of a package.